A good while back, I reviewed the amazing Ronin Boba Fett by Bandai Spirits in their Meisho Movie Realization figure line. This takes classic 'Star Wars' characters within the framework of historical Japan and the results are wonderful. 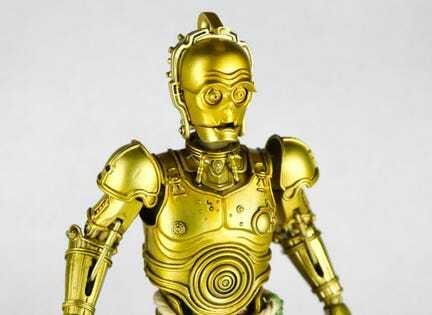 This latest rendition of C-3PO is no different.